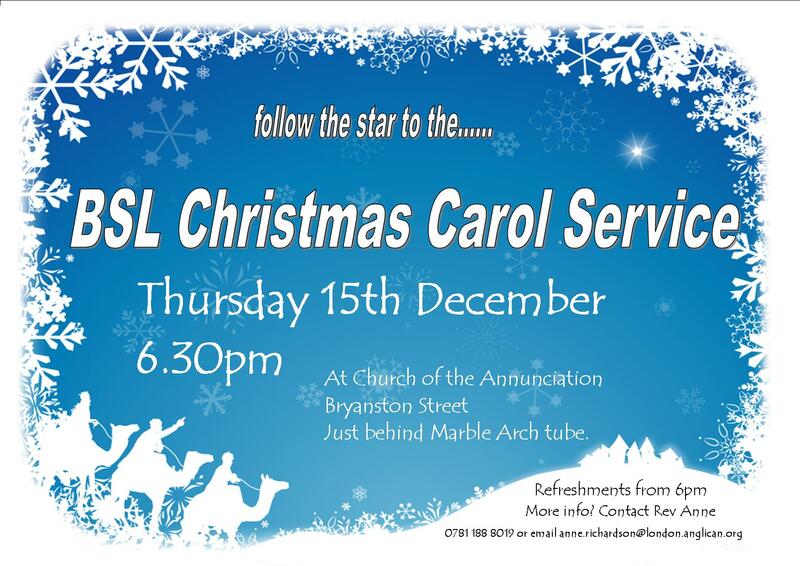 On Thursday 15th December 2011 it will be the annual British Sign Language Carol Service. It starts 6.30pm with mulled wine and mince pies available from 6pm. The service is in BSL with English voiceover. It is near Marble Arch Tube station, central London, in the Church of the Annunciation on Bryanston Street. If you would like to take part, please contact Rev Anne asap. If you want to be in the signing choir come along early at 5pm for a quick practise. You can also see videos of last years carols on the SHINE choir page.